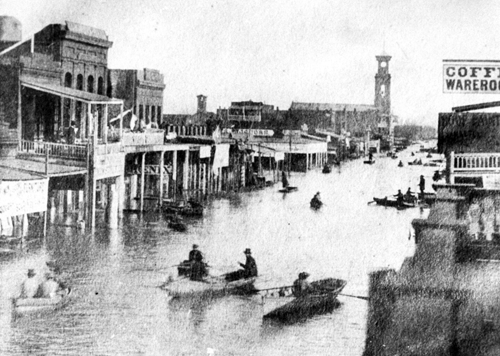 The 2012 California Extreme Precipitation Symposium was held on 26 June in Davis, CA and focused on the historic floods of 1861-62 in California. These floods created what was referred to as "Lake Sacramento" and forced the state capital to be moved temporarily to San Francisco. The papers presented at the Symposium concentrated on putting this event into perspective with more recent floods and determining if this event constituted a 200-year flood event. The motivation behind the theme was the State of California's decision to establish the 200-year event as the minimum safety standard for protecting urban areas from flooding. At the forefront of this issue is the fact that only a few stations in California have even 150 years of rainfall records making it very difficult to determine whether 200 years is a feasible standard. The great uncertainty surrounding this topic (especially if there is a trend away from the historical climate) helped fuel a lively discussion among flood managers and hydrologists on developing criteria that would define the level of protection required to safeguard vulnerable, flood-prone cities like Sacramento. Several papers dealing with the meteorology of the 1861-62 events concluded that the driver behind the extreme rainfall was a series of Atmospheric Rivers (AR) that struck along the entire West Coast from Oregon to Southern California from December 1861 to January 1862. No single AR is thought to be more significant than recent land-falling ARs, which struck California and the West Coast during the operating period of the Hydrometeorology Testbed (2004-present). However, it was the frequency and duration of the events that led to the catastrophic flooding experienced in Sacramento, and the eventual raising of the city by some 8 to 10 ft. so that it could remain the state capital. Because of the HMT and our understanding of the important role ARs play in flooding in California, discussions of how best to protect the urban areas from the 200-year flood included not only structural improvements such as levee repairs and raising dam heights and increased spillway capacity, but also forecast-coordinated reservoir operations utilizing the 21st Century observing network the California Department of Water Resources is installing over the next few years based on the results of and as a legacy to NOAA's HMT-West program. 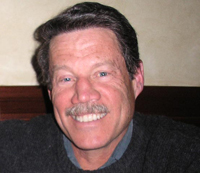 Dave Reynolds, who is currently working with NOAA's Earth System Research Laboratory through a University of Colorado Cooperative Institute for Research in the Environmental Sciences appointment and recently retired as the Meteorologist in Charge of the San Francisco Bay Area National Weather Service Forecast Office, was the recipient of the Symposium's Special Recognition Award. This award was presented to Dave "in appreciation and recognition of your contributions over 40 years to improving weather forecasting and operational hydrology."